Webbed Feat: Looking back, and looking forward to our next FLO workshop! The Facilitating Learning Online (FLO) workshop is always facilitated by a team. And oh what a team we have for the next 5-week FLO that begins September 26th! 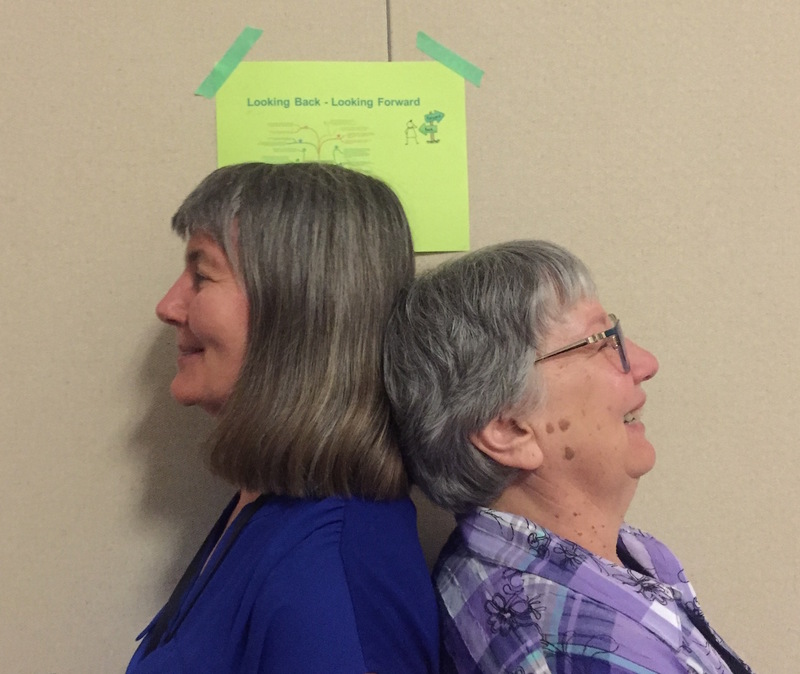 This duo, Sylvia Riessner (left) and Leonne Beebe (right) is our facilitator mentorship model in action. Sylvia, or SylviaR for clarity among the Sylvias (Riessner and Currie), has been involved in BCcampus FLO project since the launch of the first workshop three years ago. She went on to complete the Facilitator Development Online (FDO) workshop, and to co-facilitate subsequent offerings of both FLO and FDO. Now she is developing a new workshop that will focus on design. More about that soon! Leonne Beebe is a seasoned FLO participant and facilitator, having returned to FLO for every offering in some capacity, each time taking on more responsibility and new challenges. This transition from mentored to full-on facilitator was completely Leonne's own design, boldly accepting each invitation to take on more. She brings years of teaching experience and keen participatory observation skills to the workshop. 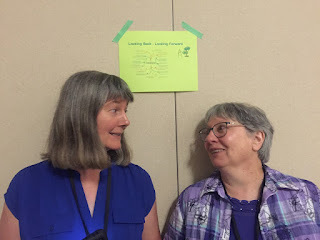 As members of the FLO Stewardship Group, SylviaR and Leonne are in constant motion, engaging others in dialogue around workshop design and facilitation with the aim to improve the learning experience for everyone. It just keeps getting better! The next FLO workshop is September 26 - October 28, 2016. Join us!